There are three different ways that you can work with me: as a business coach or thinking partner for you or your business, as a speaker, trainer, or teacher for your organization or institution, or as a writer, blogger, or columnist. Below are details about each of these hats I wear and links to find out more. Please contact me to discuss any of these possibilities. I help entrepreneurs get clients, get unstuck, and get on purpose. My clients are small business owners, solo entrepreneurs, and independent professionals. I serve as a thinking partner, providing a blend of business coaching with mentoring and practical advice. I typically work one-on-one with the owner or founder of an enterprise to help them strategize, grow, troubleshoot, overcome obstacles, discover the right path, and stay true to their vision. The entrepreneurs I work with come from a wide variety of backgrounds and industries. Much of my work takes place by phone and email, so you can work with me from anywhere in the world. You can hire me for ongoing coaching, a single strategy session, as-needed sessions, or to work with your team. You can learn more about how I work on my Business Coaching page. Please let me know a little about your business when you contact me. I deliver workshops, classes, and talks throughout North America, and teleclasses and webinars available around the world. My most requested topics are marketing and success strategies for independent professionals, solopreneurs, and small business owners, (find out more at Get Clients Now! 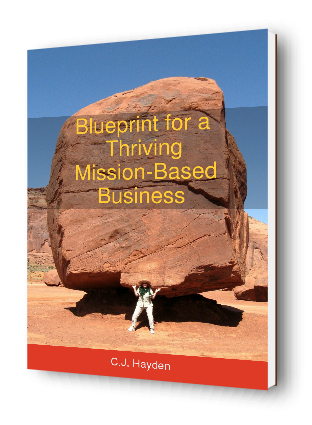 ), and and mission-driven entrepreneurship or social entrepreneurship (find out more at Social Entrepreneur Coach). You can see my upcoming programs in the Event Calendar. For live programs, I normally request payment, although I do make exceptions for certain types of groups. For virtual programs, I am often available pro bono, depending on the size of your audience. Invitations for radio, podcast, and blog interviews are always welcome. I write 2-3 new articles every month on marketing, entrepreneurship, life purpose, or getting unstuck. I’d be pleased to discuss contributing an article for your publication. For first-run, feature articles, I typically request payment. For contributions as a guest blogger or columnist, I often work pro bono. If you’re interested in articles for reprint, I have a wide variety of past articles available at no charge. Please visit the Articles Index for examples, then contact me for details and permission. I also have a book in progress, which you can learn more about on the Projects page.